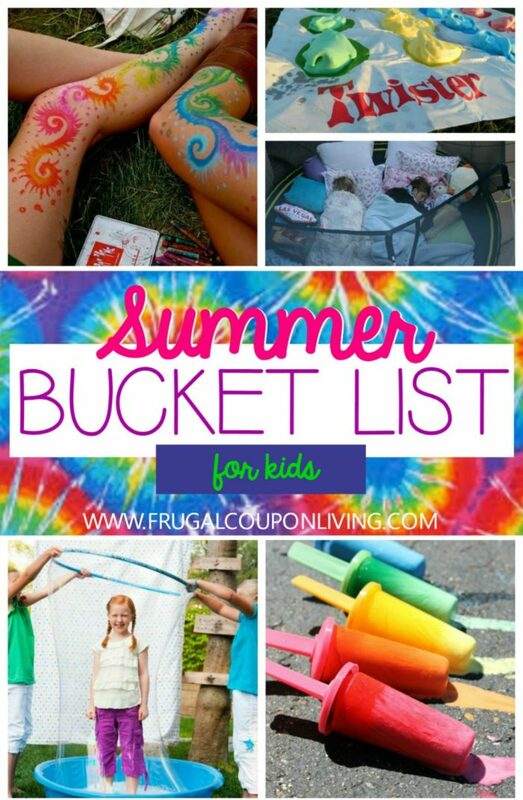 Visual Summer Bucket List for Kids on Frugal Coupon Living. 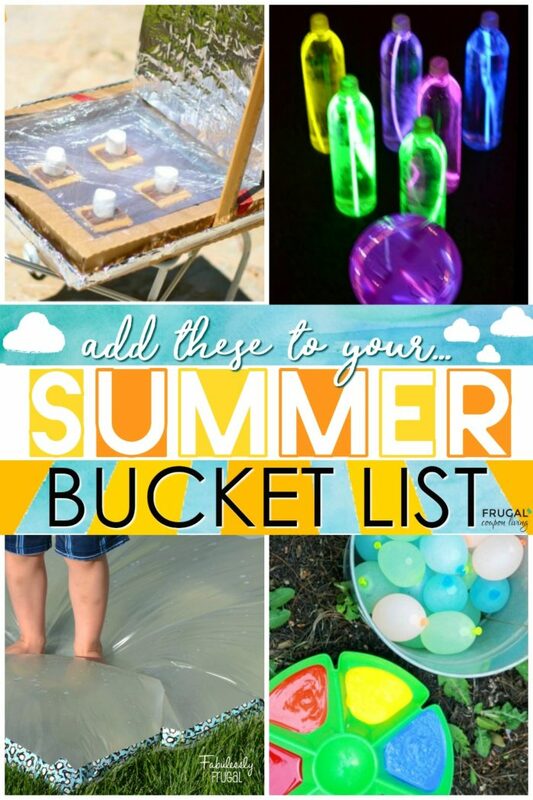 Creative ideas and crafts for the kids over summer plus some out of the box ideas to make a memorable summer! The temperatures are getting warming, the kids are getting anxious and everyone is ready for that last school bell to ring! We wanted to find some items to fill your bucket list this summer and think we did a pretty good job. 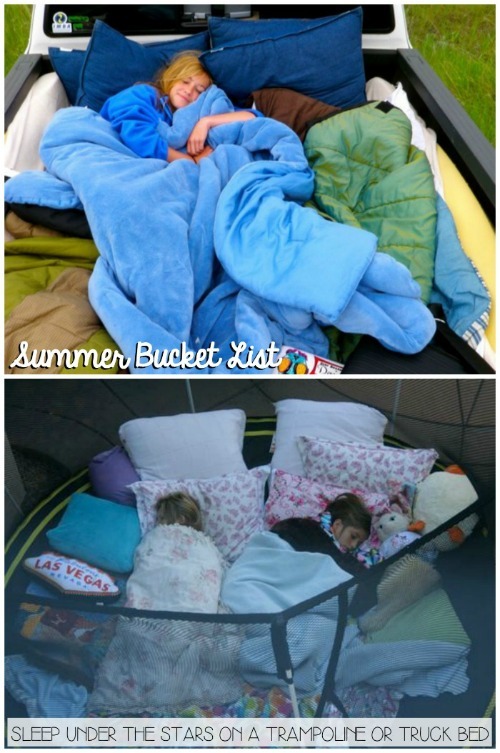 From rainy day fun to getting outdoors in the sun (or even stars) take a look at this Visual Summer Bucket List for your Kids this school break! Consider making a calendar. We had a friend list all her summer bucket list ideas on a calendar. An idea can be placed on each day so you stick to a schedule. Otherwise, create a list on a dry erase board and cross off your ideas as you get them done. What a memorable summer the kids will have! 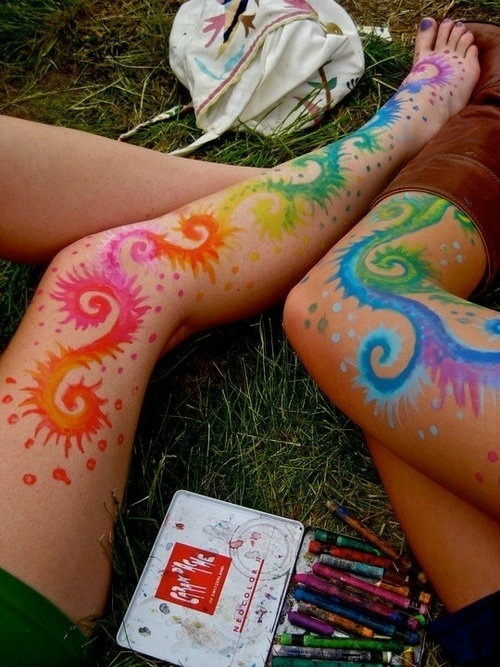 Have fun with Watercolor Pastels in this DIY Tattoo for summer. Source Unknown. Turn into a Human Bubble like One Charming Bubble. 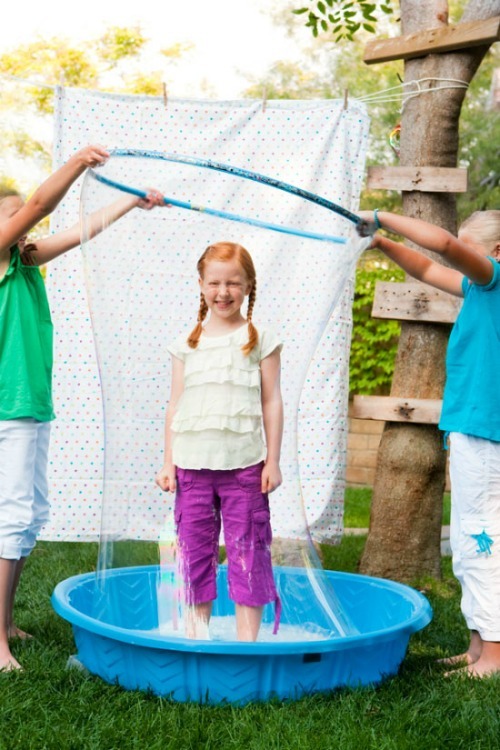 We think this idea is so fun, perhaps add the bucket list item of making homemade bubbles. 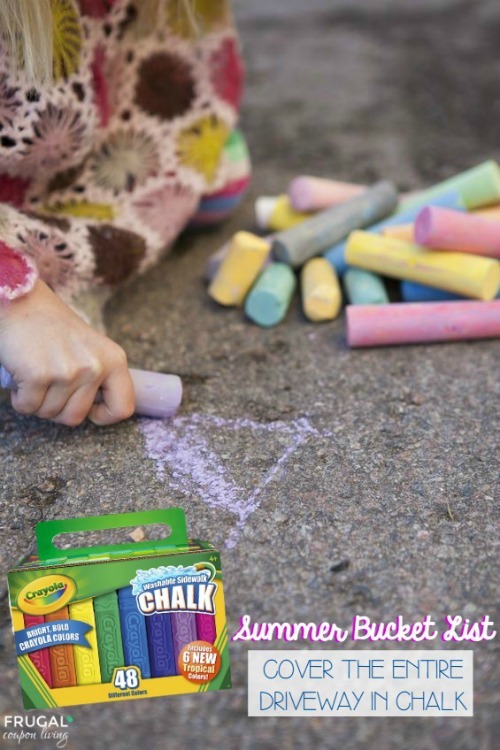 Color the Entire Driveway in Sidewalk Chalk. Come on mom, get out there with the kids and do something creative. Pinterest search, Father’s Day chalk art. It could be a fun idea for June. 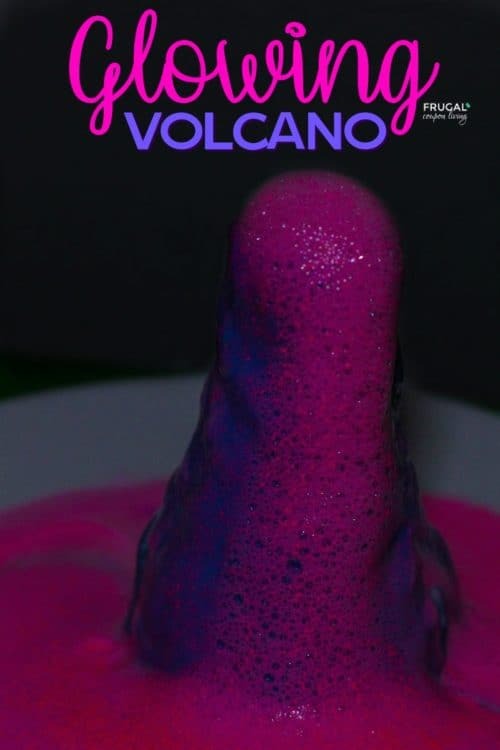 Incorporate some science with these 5 Minute Science Experiments for Kids or Glow in the Dark Volcano! 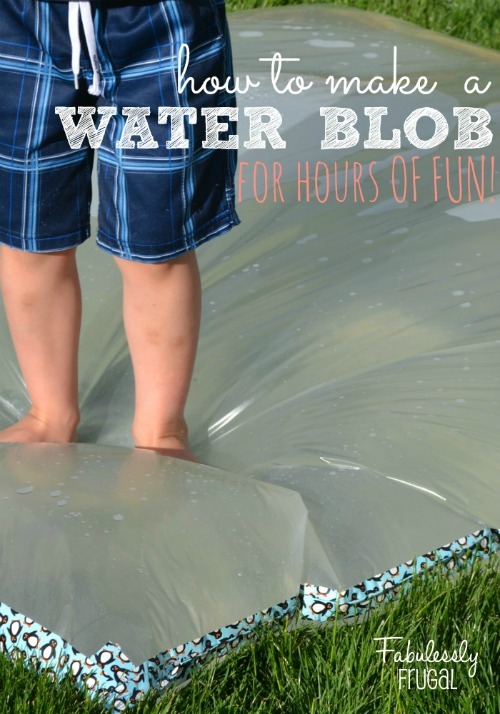 Make a Water Blob like this tutorial on Fabulessly Frugal. I had friends make this and the kids absolutely loved it – it’s a one and done type of craft though you might get a few uses out of it during the week. 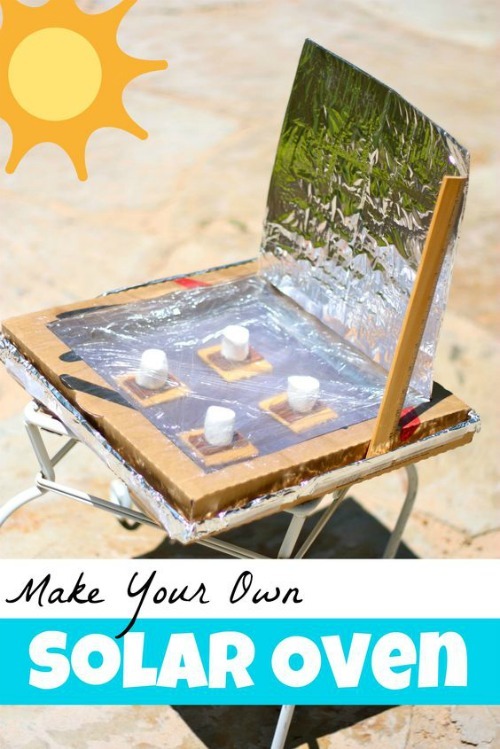 Use a pizza box to make your own Solar Oven like this idea from I can Teach My Child. We suggest you take a look at our s’more recipes and give some a try inside your homemade oven. 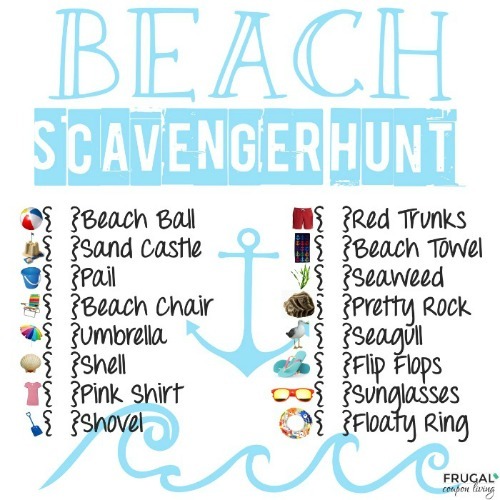 Take it to the beach with this Beach Scavenger Hunt on Frugal Coupon Living. Take a look at how we created this idea using a beach bucket! 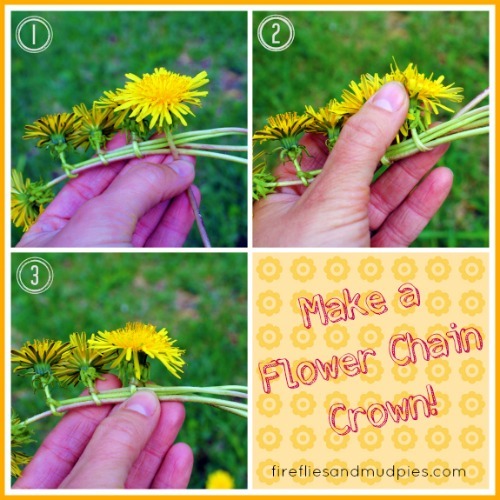 Make your own Flower Crown from Fireflies and Mud Pies. I always wondered how to properly do this! I loved them when I was a kid but my technique was poor. 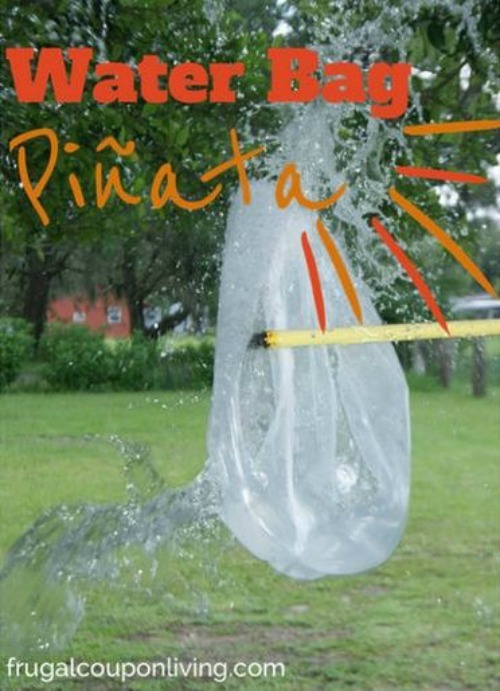 Try a game of Water Bag Pinata from Frugal Coupon Living. This has been a popular post on our website. 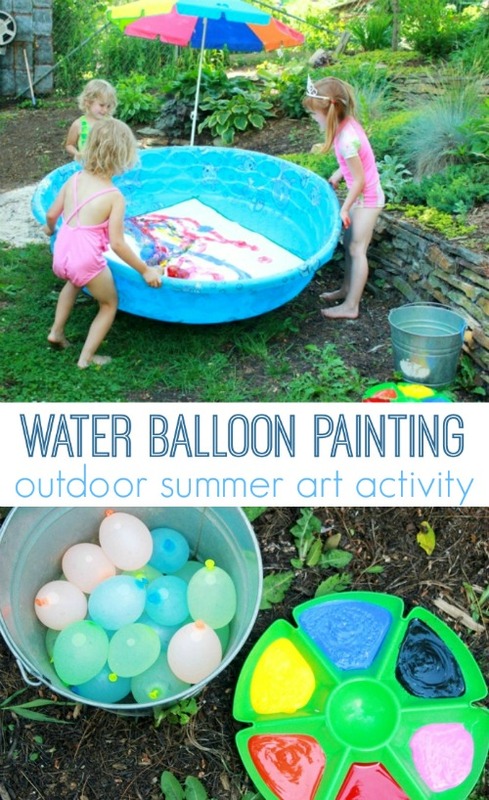 Take a look at the other water play ideas. Turn Water Balloons into Canvas Art from Lasso the Moon. What a fun distraction for a few hours. Definitely deserves a jump in the sprinkler after! Get messy! 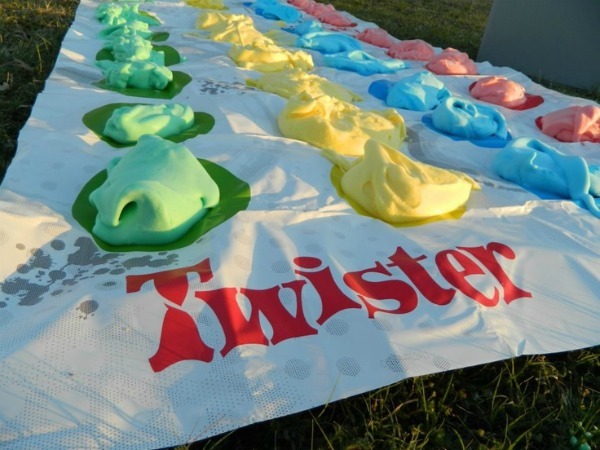 Take a classic board game and have fun with Shaving Cream Twister as seen on Pinterest. I would love to see an after photo of this game! 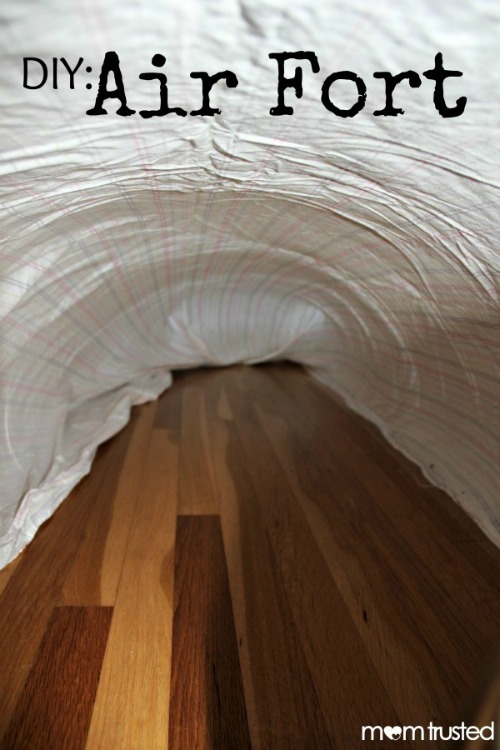 Build an Air Fort like this idea from Mom Trusted. I can see what it is Mom Trusted – so fun! Go Night Bowling with this idea from Growing a Jeweled Rose. 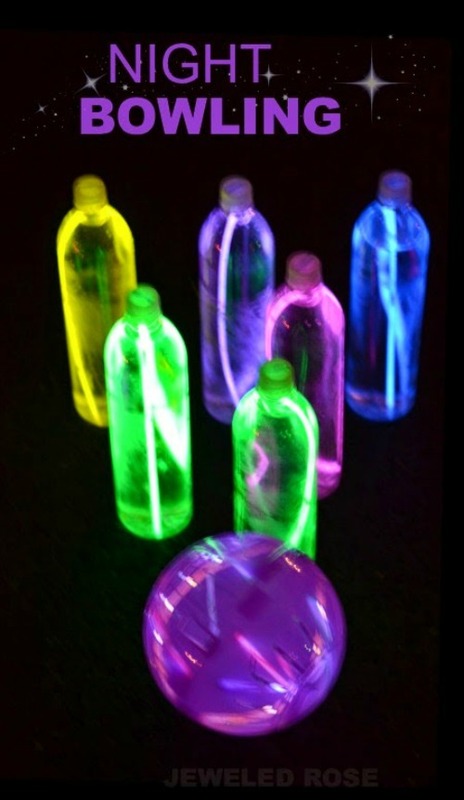 Add to that late night up, and outdoor movie or toss some glow sticks in the pool and swim! 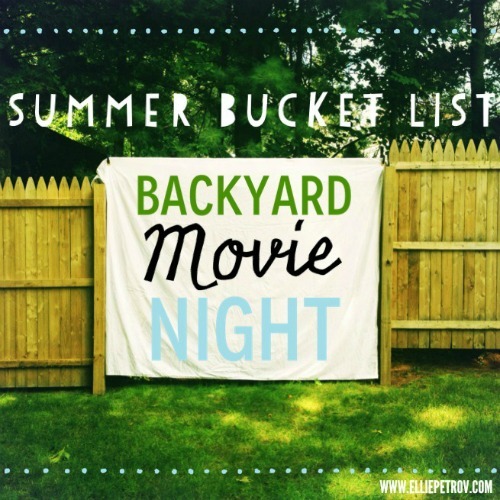 Host a Backyard Movie Night like Ellie Petrov. We did this at a friends home. We brought over boxes of candy, she popped popcorn and it was such a fun memorable event! 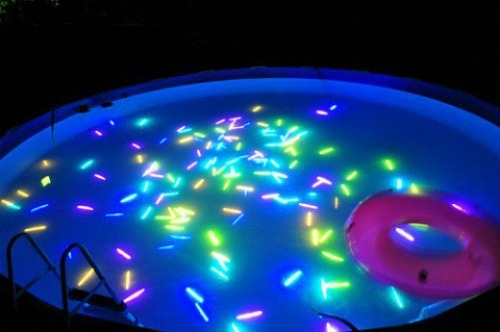 Toss Glow Sticks Into the Pool. Source Unknown. 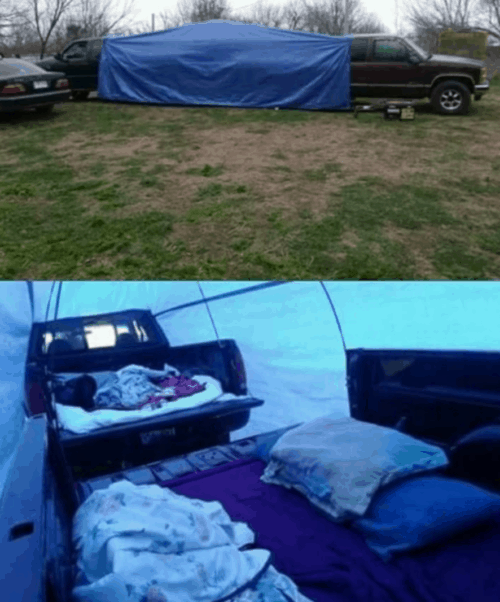 Make the ultimate outdoor tent with two trucks and a tarp! Idea on LOL Pics. 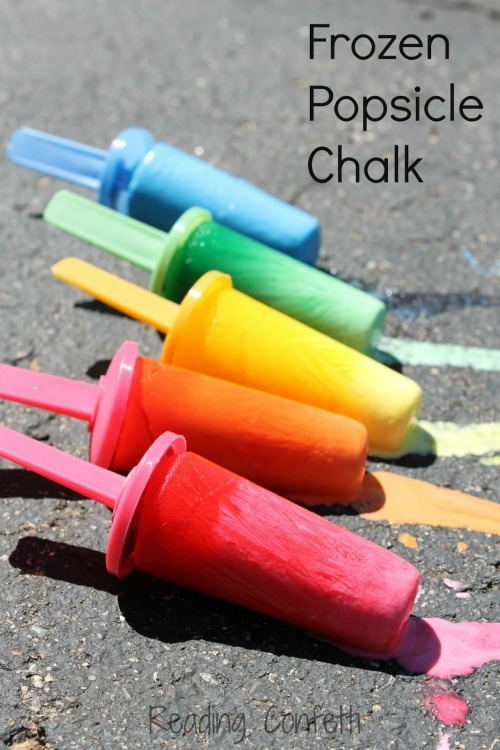 Try another kind of chalk, Frozen Popsicle Chalk for your ultimate masterpiece found on Reading Confetti. 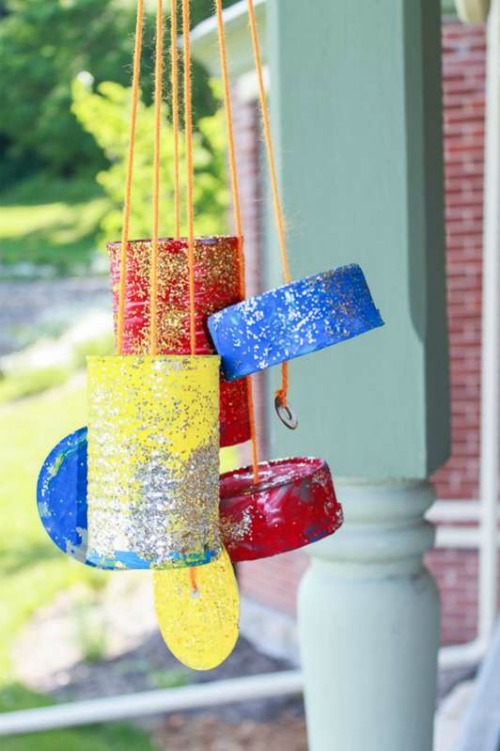 Try this upcycle, Homemade Tin Windchimes from Hands On As We Grow. 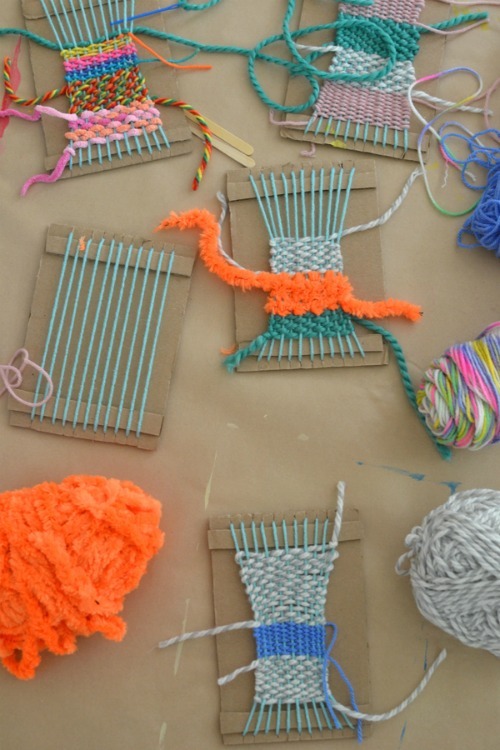 What a a cute craft for the kids! I love that it lasts so much longer than one day! 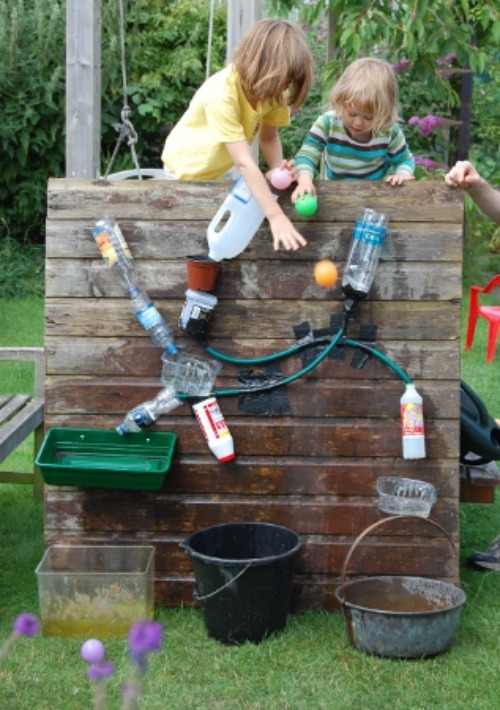 Do it yourself water play with this Waterfall Water Wall from Playing by the Book. This might take some effort but a fun way to upcycle! 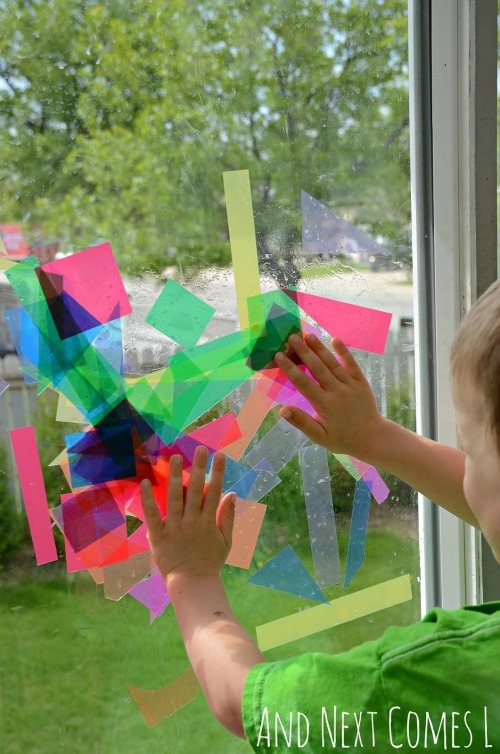 On a rainy day, Make Abstract Window Art from And Next Comes L. You could probably google some abstract artists for inspiration! 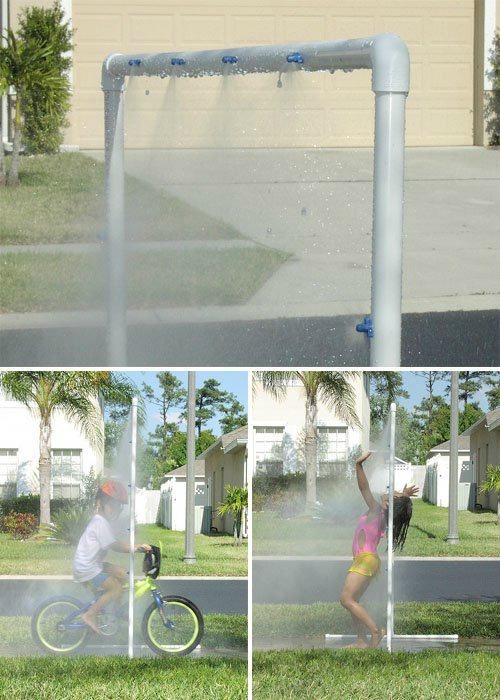 Make PVC Sprinkler like this idea from Make Zine. I think dad might have to get involved in this talent but I bet it will make your child the coolest kid on the block – no pun! Weave with the Kids. Really nice tutorial on Artbar Blog. We worked on some of these recently and the kids had a great time making them! 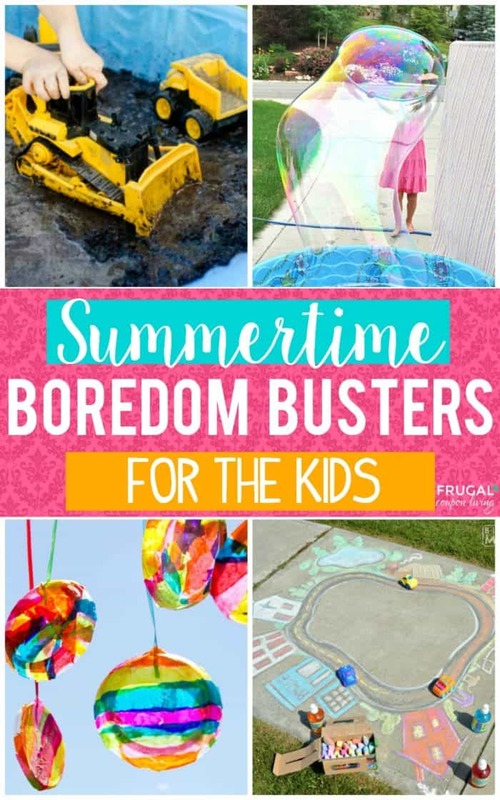 Also check out these DIY Summer Fun Ideas for Kids. Pin to Pinterest. 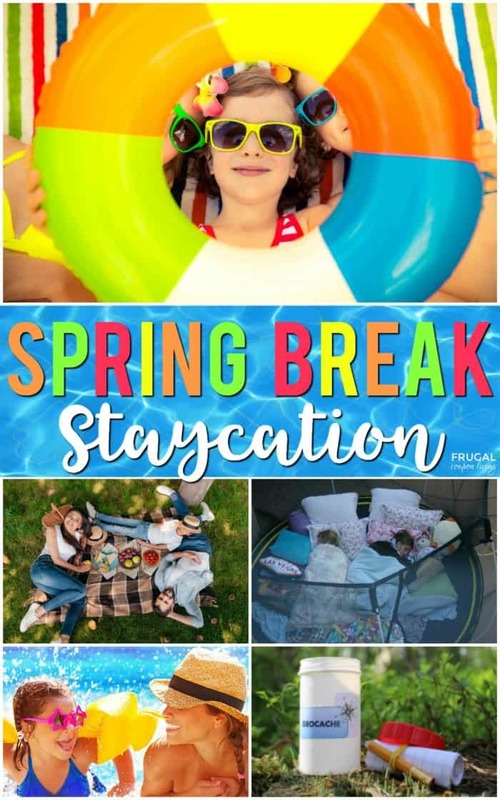 Don’t forget Spring Break with these 20 Creative Ways to Enjoy a Spring Break Staycation. Pin to Pinterest.